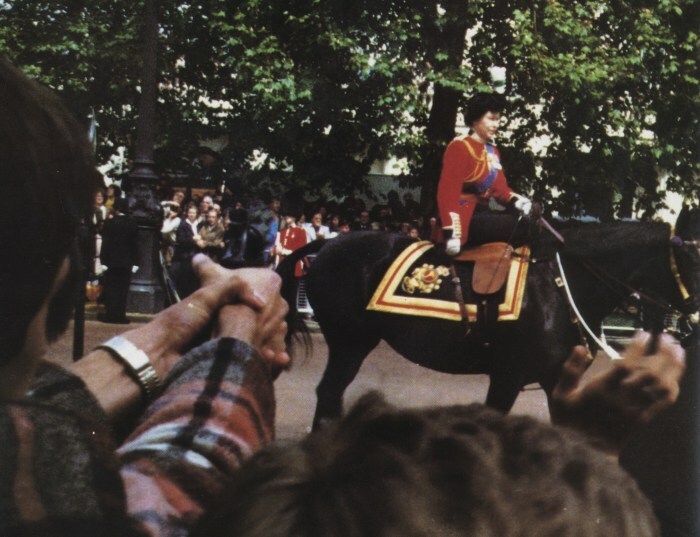 The Queen has been shot during Horseguards' Parade for the start of the Trooping Colour ceremony on 13 June 1981 in London. This was done by a teenage boy, who was 17 years old, called Marcus Serjeant. He had used a blank cartridge pistol for that. 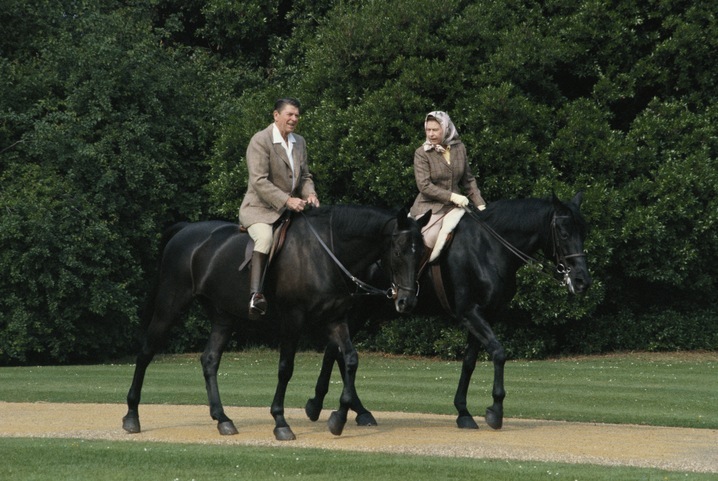 On that day the Queen had rode past crowd on horseback traditionally. 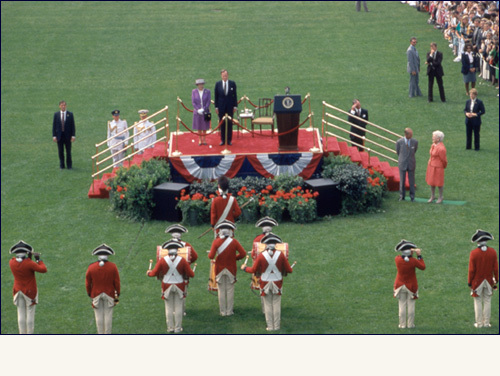 Suddenly Marcus pointed a gun directly at the Queen among the crowd and fired six blank cartridges. Therewith the Queen's horse startled, but she was able to bring it back under control with a few seconds. The monarch looked shaken by the episode, but soon recovered her composure. She comforted her 19 years old horse, Burmese, which she has ridden in birthday parades since 1969. 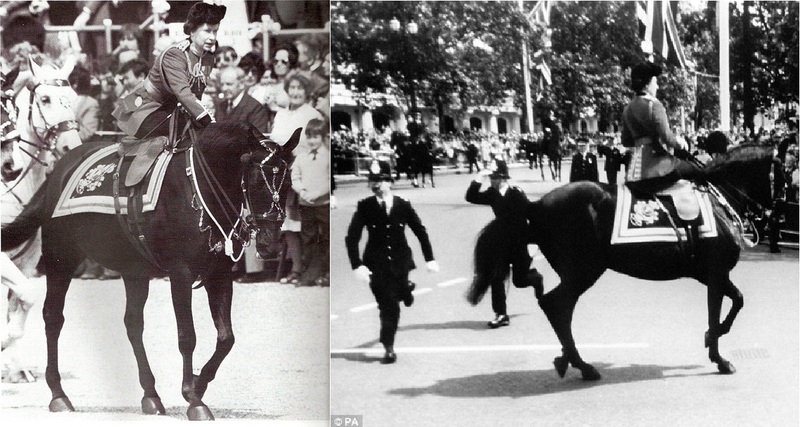 The Queen's horse startled, but she was able to bring it back under control with a few seconds. Meanwhile a guardsmen and police overcame and arrested Marcus, gunman. He had said " I wanted to be famous. I wanted to be a somebody " as he was arrested. When the police investigated his house, they had found his diary. There it was mentioned " I am going to stun and mystify the whole world with nothing more than a gun. I will become the most famous teenager in the world ". 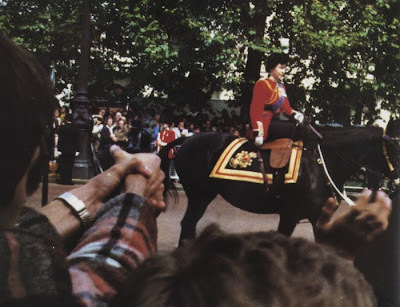 He had also sent a letter to Buckingham Palace which read, " Your Majesty, Don't go to the Trooping the Colour ceremony, because there is an assassin set up to kill you, waiting just outside the palace". The letter arrived on 16 June, three days late. 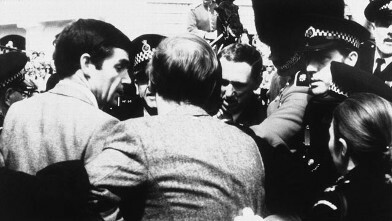 Marcus was jailed for five years. 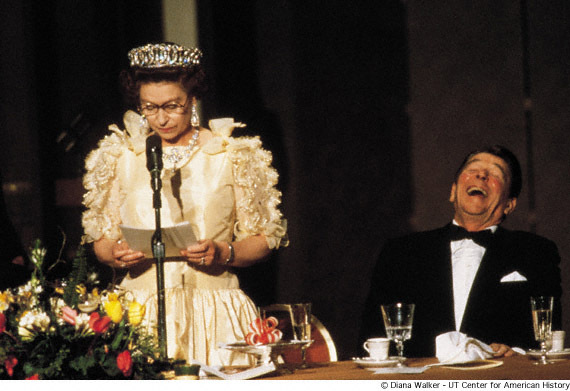 He wrote to the Queen from prison to apologize but he never received a reply. 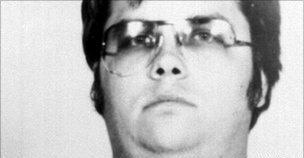 He was released in October 1984, at the age of 20 and he changed his name and disappeared into history. 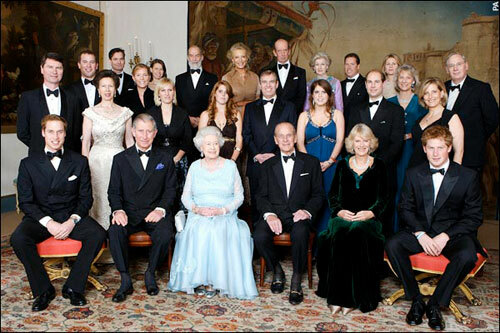 Britain's Royal Family is the most famous Royal Family among the survival royal families in the world. 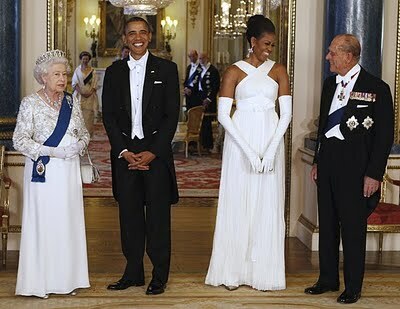 A lot of people who are in not only the Britain but also all over the world love and respect to the Queen and the Royal Family. The best example is the last wedding ceremony of Prince William & Princess Katherine. On that day the whole world paid their attention for the city of London. 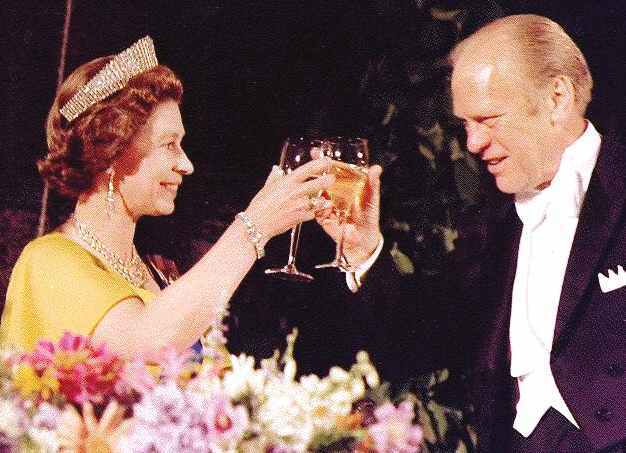 That Royal Wedding confirmed the sustainability of Royal Family for half century years more. Mean while, there are some people who does not like to the Royal Family in not only the Britain but also all over the world. 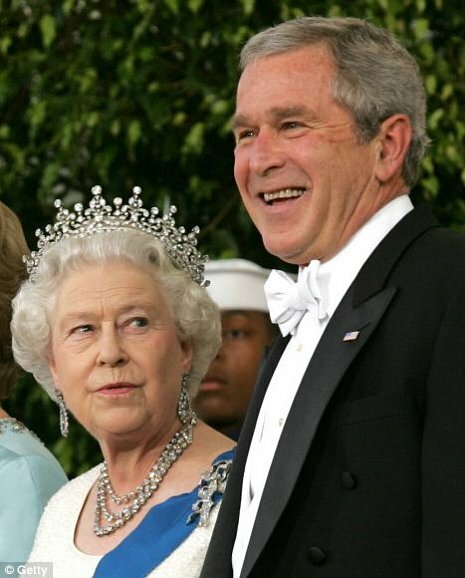 Because of many reasons, they heat the Royal Family.Most of them believe that the sustaining of the Royal Family by public wealth is unfair. 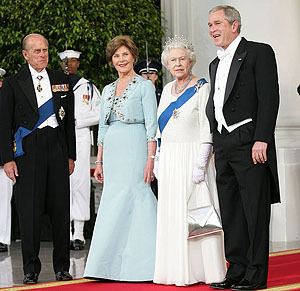 They say that the Queen and the Royal Family are sustained by public wealth with out doing any service for the country. 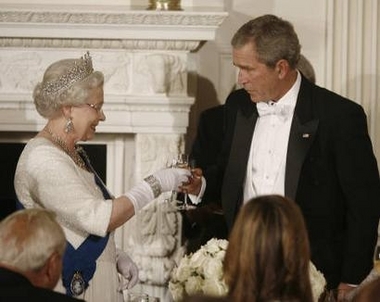 Even they suggest a president instead of the Queen. 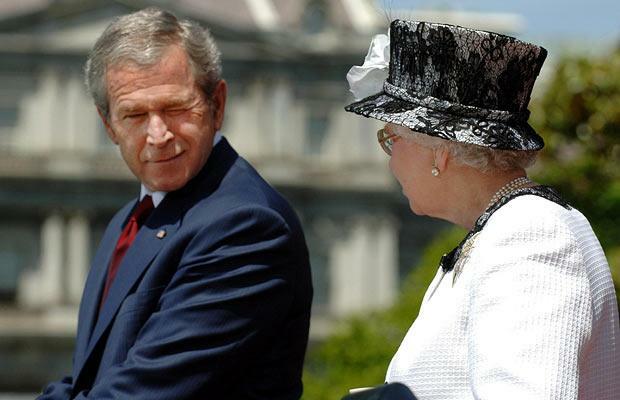 But the humorous thing is this, the Queen's annual cost is $ 57.8 Million and the American president's annual cost is $ 1.4 Billion as well. 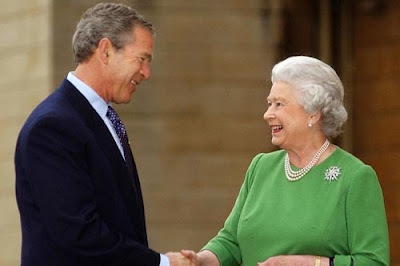 The other point is the British Imperialism as well as the Monarchy is a symbol of the Imperialism. That is why, there are so many protesters against the Queen and the Royal Family. That can be seen in the Commonwealth realms better than Britain. For examples Australia, Canada, New Zealand and so forth. 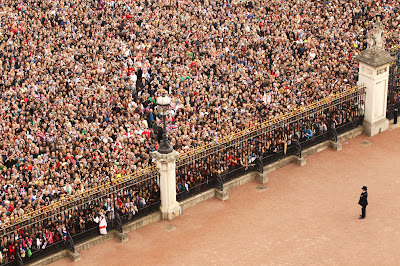 Apart from that, there are many kinds of protesters against the Royal Family so as to get attention of the world. There have been some incidents like above in the recent history. But attacks on member of the Royal Family are rare events. 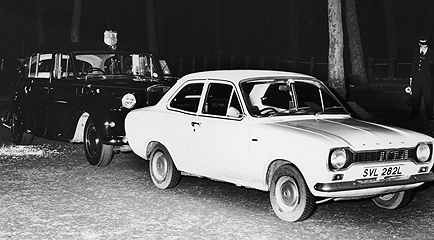 The car that Princess Anne, the Princess Royal and her husband Captain Mark Philips was going had been shot on 20 March 1974. The Royal couple had been returning to Buckingham palace from a charity film screening in the city. Accidently, at the Pall Mall when the couple was on their way to the palace, a light coloured car blocked their road. 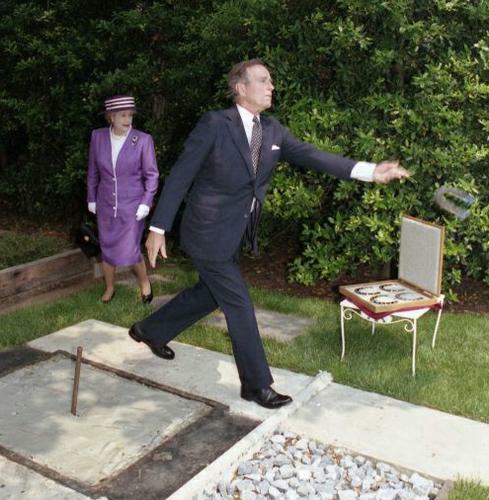 A man who got out from the car fired six shots towards the royal car. There in Princess's private detective Inspector James Beaton fired at once. The Inspector, The chauffer Alex Callender, one of the Queen's senior drivers, Rowena Brassey, the Princess's Lady-in-waiting, and a man passing in a taxi were wounded from this incident. The Princess got shocked but no harm. After few minutes gunman was arrested. He was Ian Ball, 26 years old.The police found a letter written to the Queen, with him. 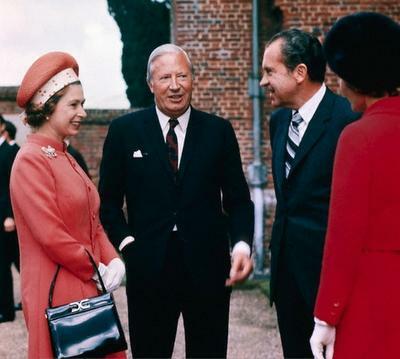 It said that the Princess Anne was kidnapped and pay 3 million Founds to release the Princess. 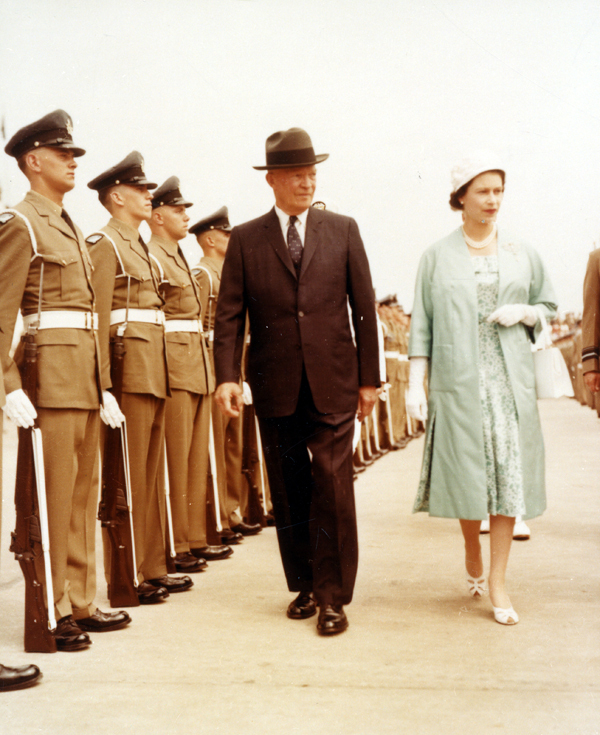 The Queen and Prince Philip are currently on a state visit Indonesia but have been informed of the attack. After a few days doctors exposed that Ian was a mental upset person. 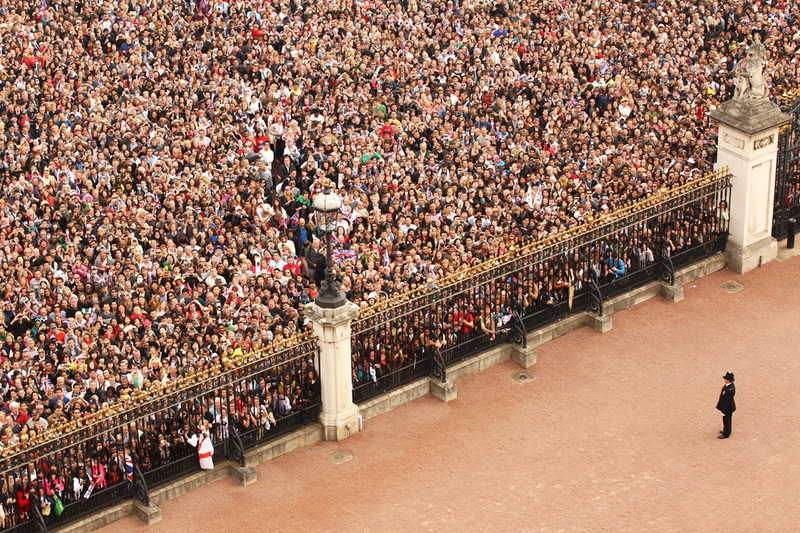 Every moment of the royal family member’s lives get people’s attention effortlessly. 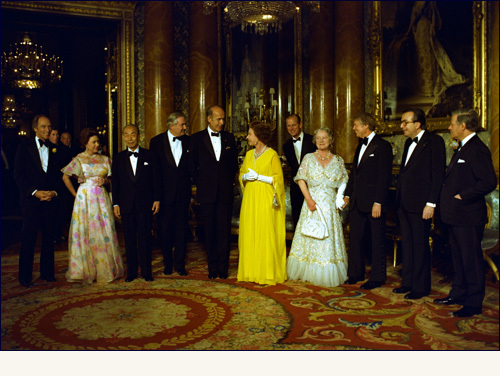 Special occasions of their lives from birth to death are entered to the history as well. 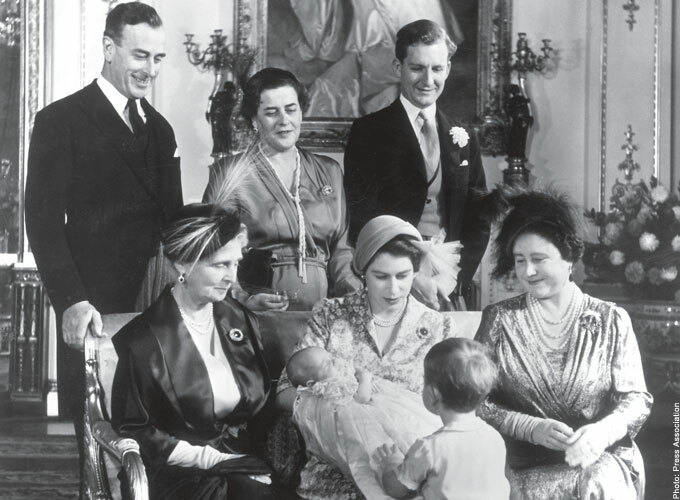 The Baptism or Christening is the main incident of the royal family member, after the birth. 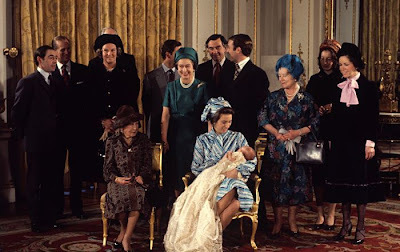 Peter Philips, son of Princess Anne and Captain Mark Philips was christened in the Music Room of Buckingham palace on 22 December 1977 by the then Archbishop of Canterbury Donald Coggan. He was named as Peter Mark Andrew Philips. His godparents were his uncle Prince of Wales, the Rt. 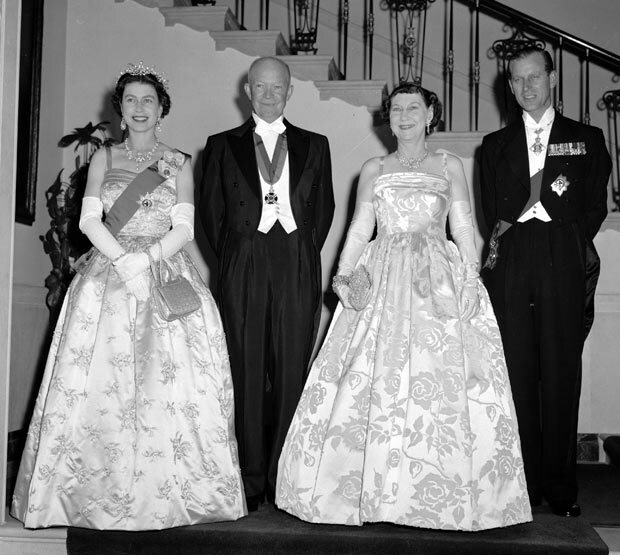 Rev’d Geofffrey Tiarks, Captain Hamish Lochore, Lady Cecil Cameron of Lochiel and Jane Holdemess-Roddam. Relatives and godparents of Princess Anne's 37 day old son, Master Peter Mark Andrew Phillips, gather in the White Drawing Room at Buckingham Palace after his christening. 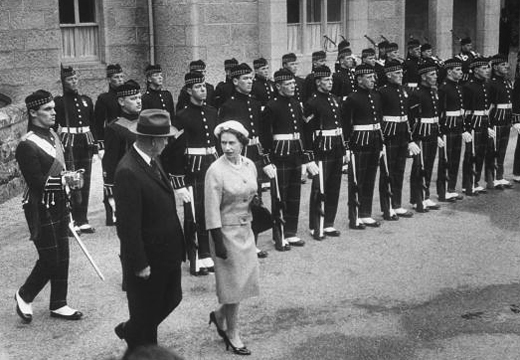 Back row, from left, Captain Hamish Lochore, the Duke of Edinburgh, Anne Phillips, Prince Charles, the Queen, Mr. Peter Phillips, Captain Mark Phillips, the Queen Mother, Mrs. Timothy Holderness-Roddam and Lady Cecil Cameron of Lochiel. 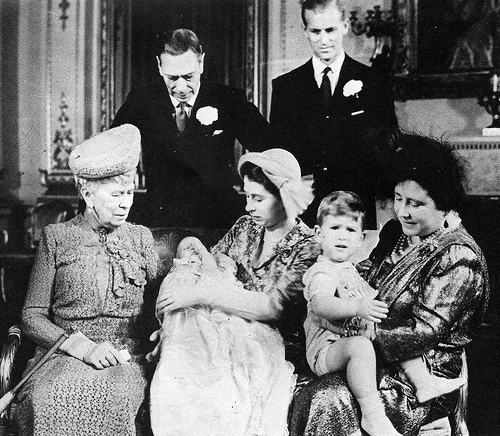 Front row, from left, Princess Alice, Countess of Athlone, and Princess Anne holding her son Peter. Princess Anne is christened in the Music Room of Buckingham Palace on 21 October 1950, by then Archbishop of York, Cyril Garbett. She is named as Anne Elizabeth Alice Louis. 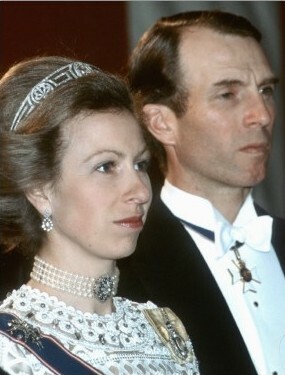 The Princess’s god parents were Queen Elizabeth the Queen mother, the Hereditary Princess of Hohenlohe-Langenburg, Princess Aliceof Greece and Denmark, the Earl Mountbatten of Burma and the Hon. And Rev. Andrew Elphinstone. Queen Mary, Princess Elizabeth & Princess Anne, Queen Elizabeth the Queen mother with Prince Charles, King George VI and Prince Philip on Princess Anne's christening day. Prince Andrew is christened in the Music Room of Buckingham Palace on 08 April 1960, by then Archbishop of Canterbury, Geoffrey Fisher. He is named as Andrew Albert Christian Edward. Every single moment of the Royal Family member’s lives gets people’s attention effortlessly. 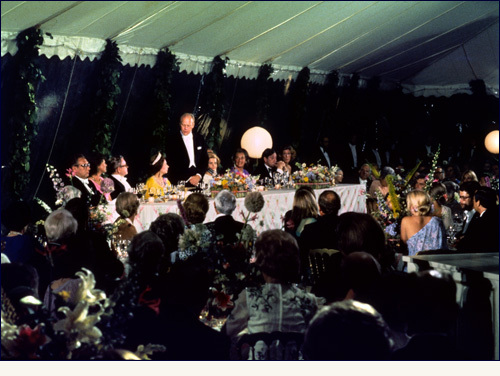 Special occasions of their lives from birth to death are entered to the history as well. 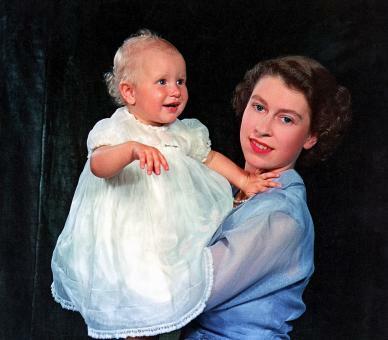 The Baptism or Christening is the main incident of the royal family member, after the birth. In the royal family how to do Christening..? 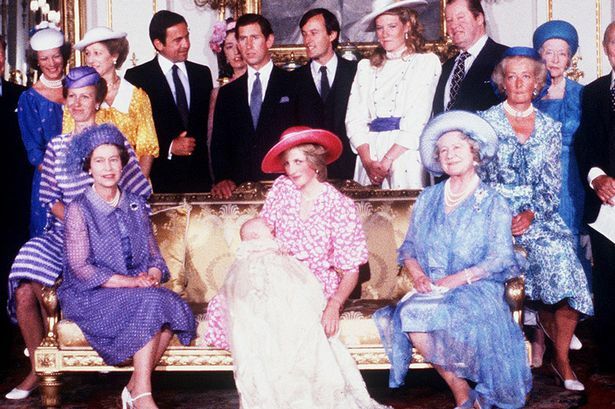 Christenings in the royal family have traditionally been private occasions, attended by family, godparents and close friends. Most members of the royal family have worn the same ancient christening gown/royal Christening robe made for Queen Victoria’s eldest daughter, princess Victoria since 1841. 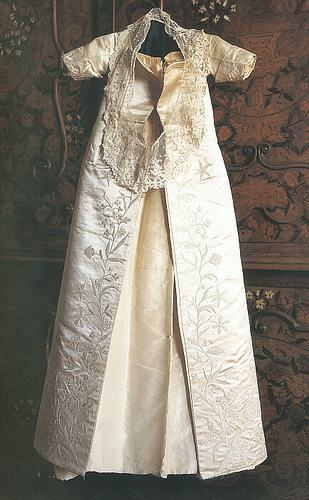 This gown is made from Fine Honiton lace lined with white satin. It has been preserved up to now.The font used in the royal baptism is that the princess Victoria used. In 1894 the robe was given by Queen Victoria to the Duchess of York (later Queen Mary), all of whose children were christened in it. In the next generation it was worn by the children of King George VI, Prince Henry, Duke of Gloucester, and of Prince George, Duke of Kent. No one can break this world record........! 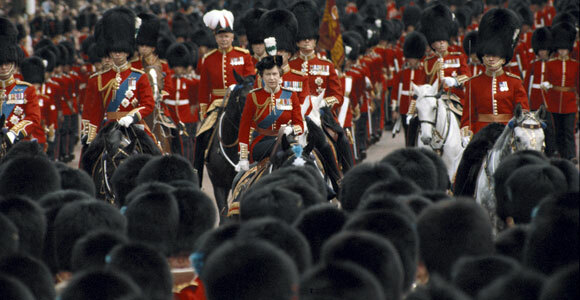 Her majesty the Queen is a living legend. 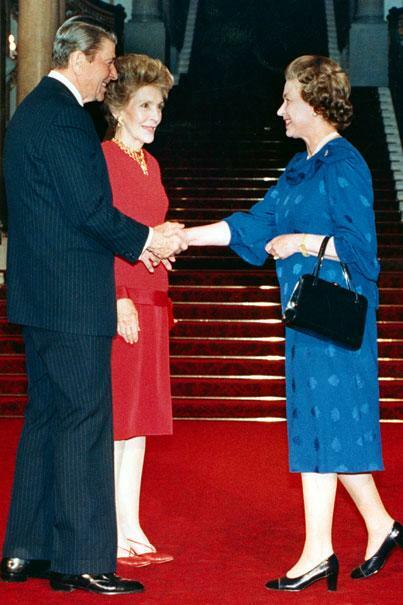 She did an unbelievable service to the country, commonwealth & the world as the Queen during her six decades legacy. She has made thousands of world records, never any one can break. 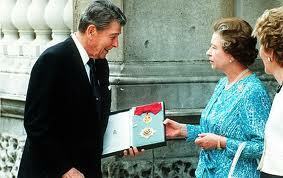 She has got millions of honours from army forces, governments, universities, societies & so on. There is no country or continent she did not visit, in the world. 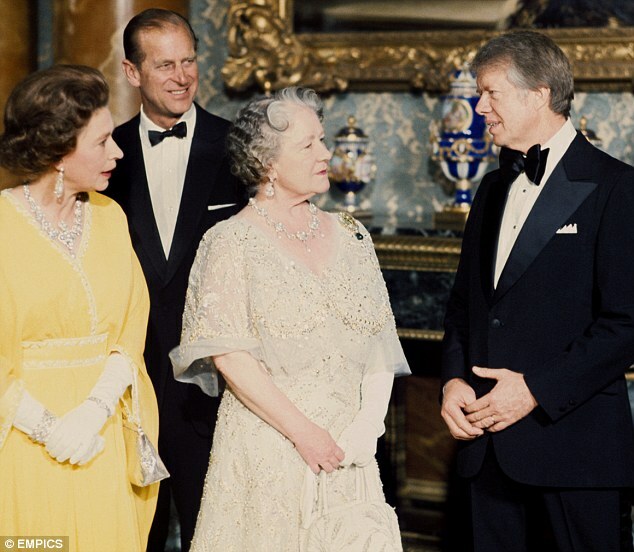 The Queen could see eleven American presidents, and she has met and shaken hands with these eleven presidents. Someone is killed, someone is resigned and someone lost from the election among these presidents whilst the Queen is in still steadily. 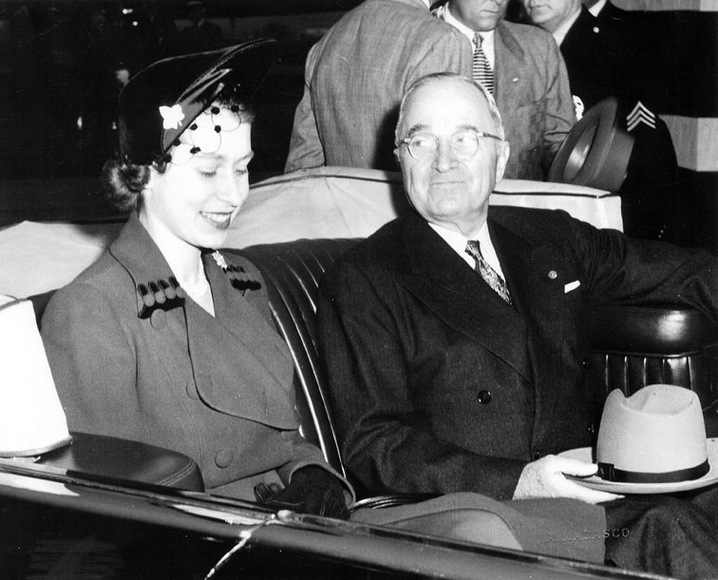 She met Mr. Harry Truman as her first American president when she was as the princess to the throne in 1952. 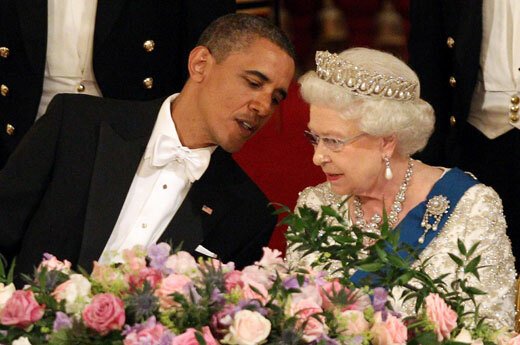 However she has never met only one American president called Mr. Lyndon Johnson. Certainly, she is a living legend & these photographs prove that very well. Princess Elizabeth met president Mr. Harry Truman during her state visit to USA in 1951. 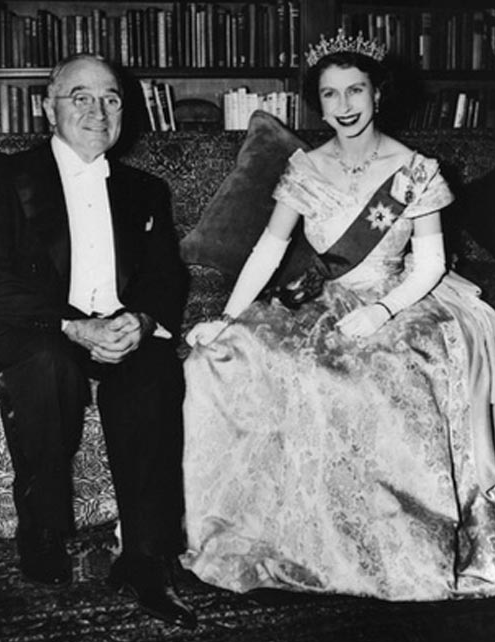 Truman is the only American president the Queen met while a princess. 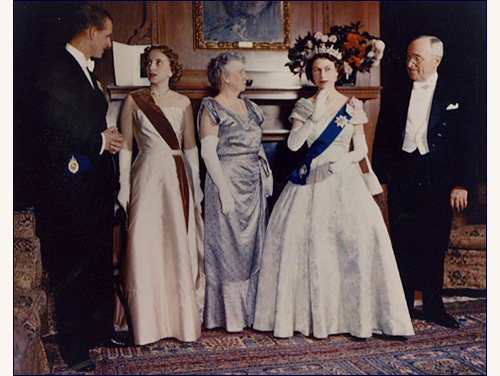 HRH prince Philip, president's daughter, first lady Bess, HRH princess Elizabeth & president Truman at the white house. 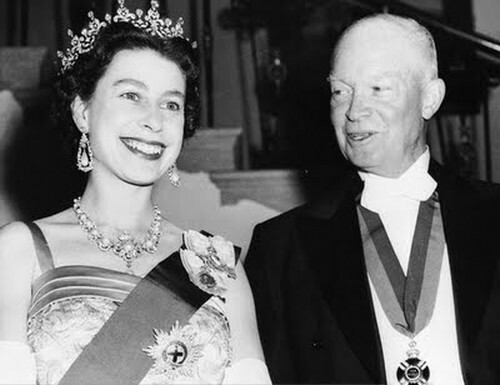 Eisenhower is the first American president she met as the Queen. They met three times. 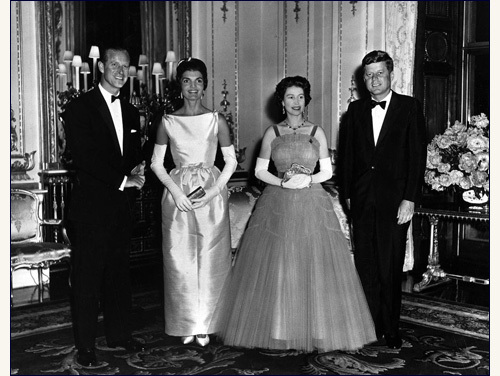 In 1957 she visited to America as her first state visit as the Queen & president Eisenhower warmly welcome her. 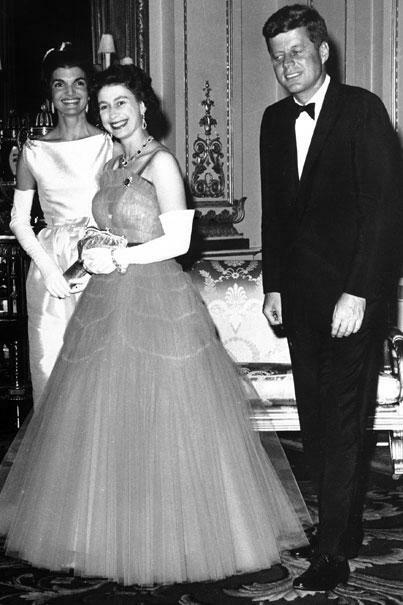 President Eisenhower made a state visit to UK & met the Queen again at Balmoral castle in 1959. So also they met each others again in Canada at the opening ceremony of the St. Lawrence Seaway same year. 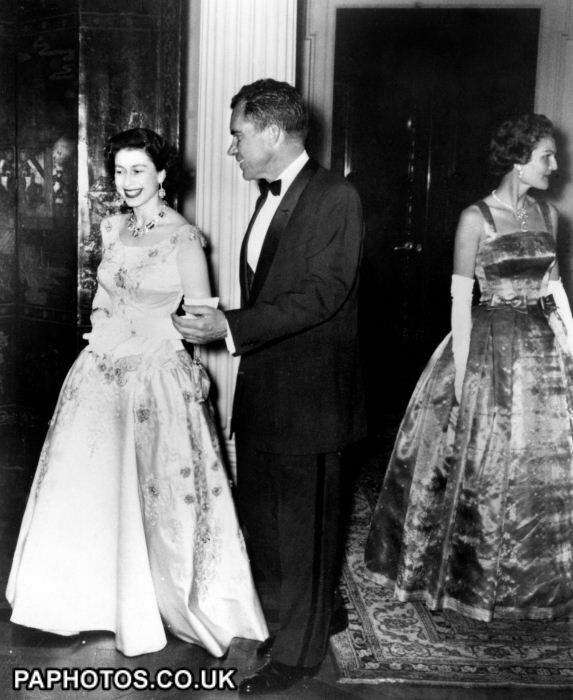 Famous American president John F. Kennedy met the Queen during his state visit to UK in 1961. 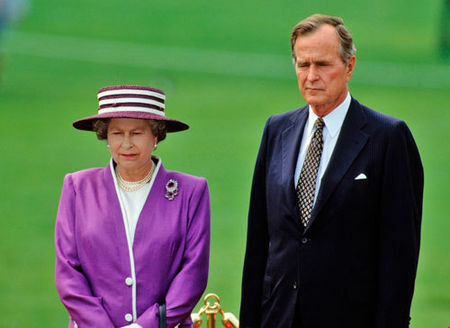 And the Queen was unable to attend John F. Kennedy's funeral because she was pregnant with prince Edward. 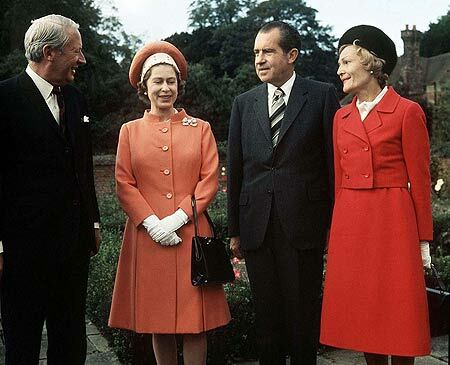 President Nixon met the Queen in Buckingham palace during his an informal visit to UK in 1969. 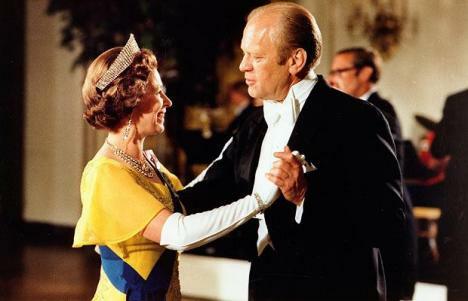 The Queen's next official visit to the USA in 1976 to mark the American Bicentennial, and she met the president Gerald Ford. 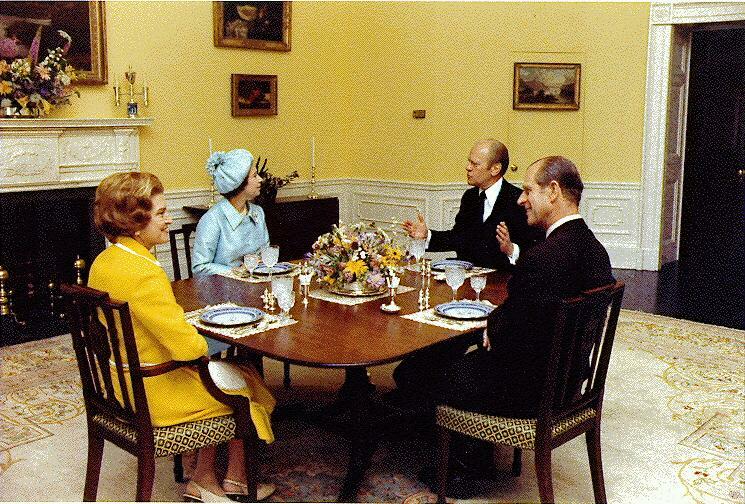 President and first lady hosted a white house dinner in honor of the Queen and prince Philip on July 7, 1976. 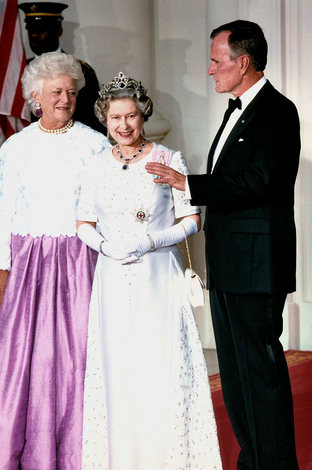 The Queen with president Ford & first lady Betty at white house. 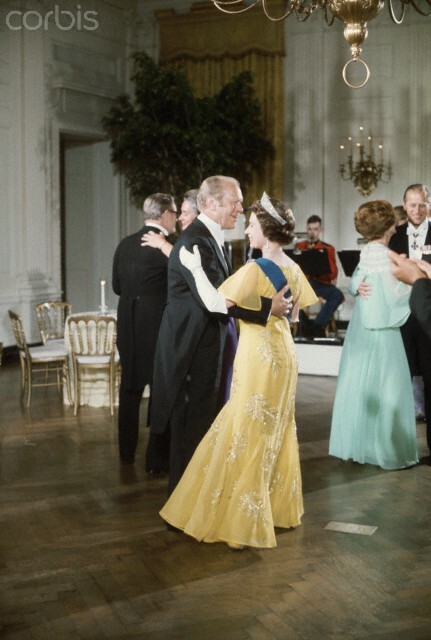 The Queen & prince Philip with president Ford at white house. 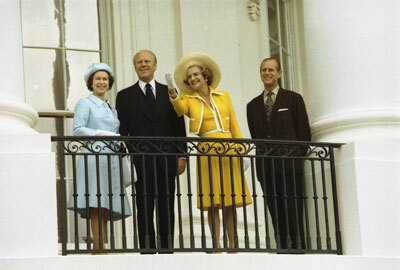 The Queen & prince Philip with president Ford & first lady Betty at white house. 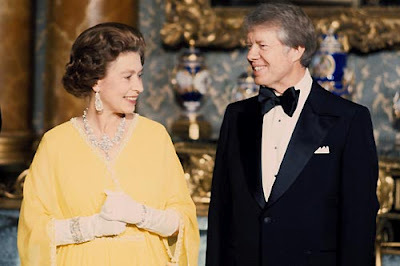 President Jimmy Carter met the Queen at Buckingham palace during his state visit to the UK in 1977. 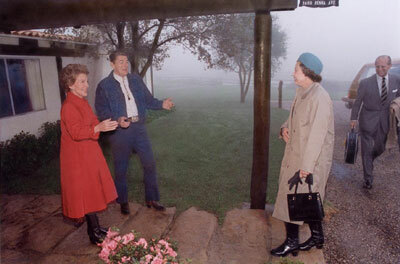 President Reagan has been to United Kingdom three times.That is 1982, 1984 & 1988. 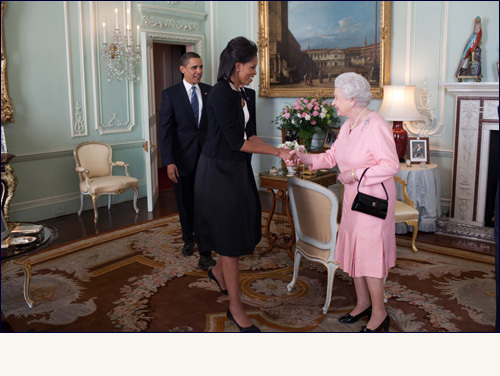 And he met the Queen at Windsor castle. 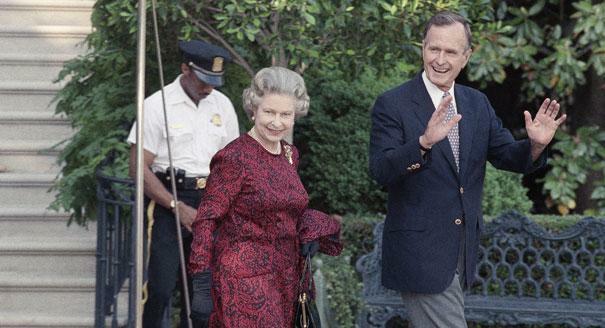 President George H. W. Bush visited the Queen at Buckingham palace in 1989 & in 1991. 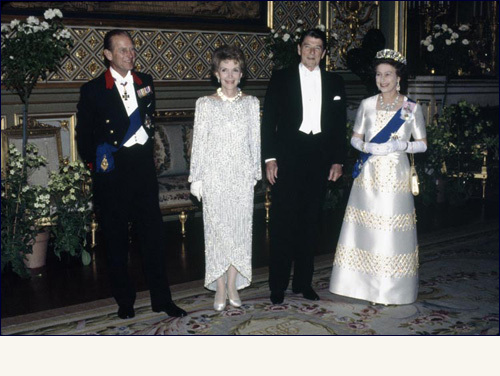 And the Queen made a state visit to the USA & met the president in 1991. 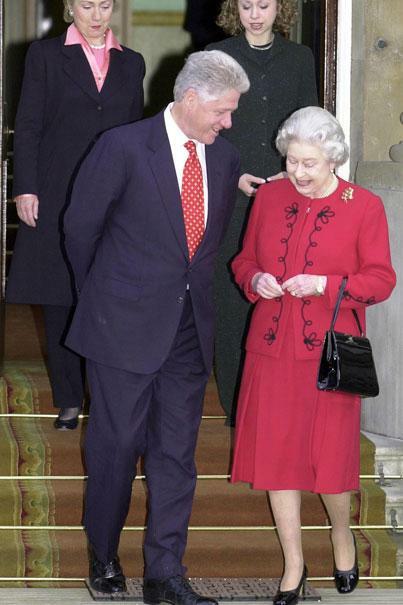 President Bill Clinton met the Queen during his state visit to the UK in 1994, 1995 & 2000. 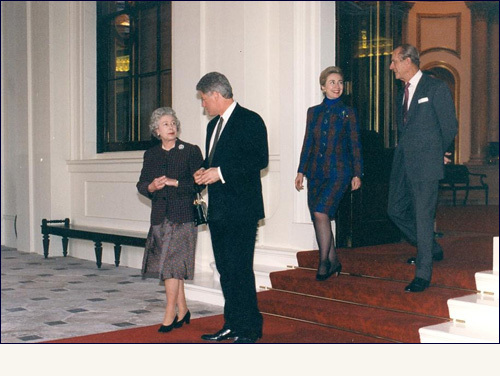 President Bill Clinton and his family talk with the Queen at Buckingham Palace in London on December 14, 2000. 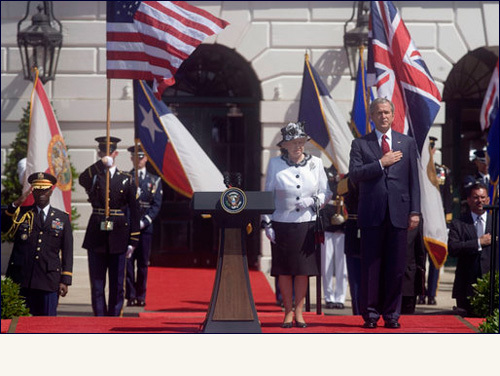 President Bush has been visited to the UK three times in 2001, 2003 & 2008 & met the Queen. 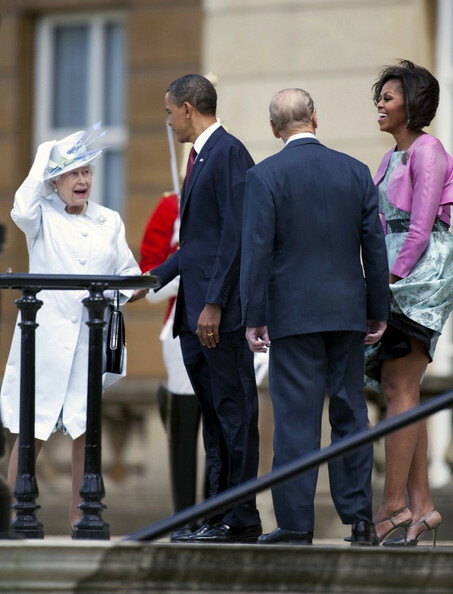 The Queen made a state visit to the USA in 2007 & met the president. 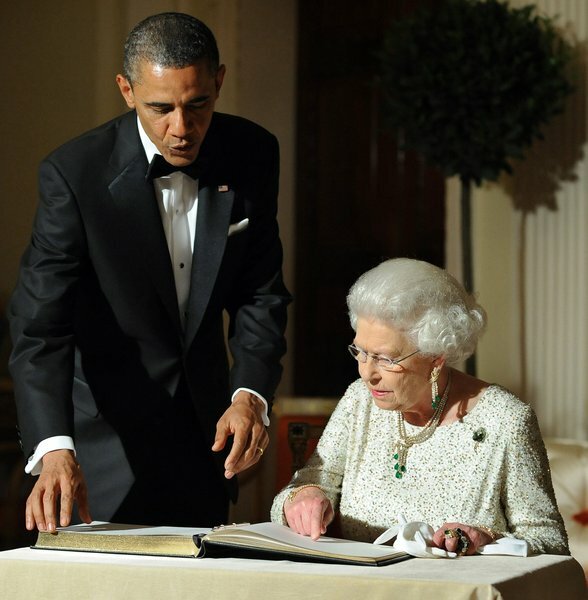 President Obama made two state visits to the UK & met the Queen in 2009 & 2011.